We so often get caught up in the building of our capabilities. In some ways, I keep attempting to “peel the innovation onion” in explaining the need to focus on building the capabilities in different ways but to be honest, it needs these various approaches to an ever-changing environment. A different intensity of innovation onion perhaps? Why, well we have the business of today, the emerging business of tomorrow and the future business that will provide a radically different set of capability building needs? The struggle to date is that innovation remains hard to manage well; we strive to systematize it and then attempt to replicate any success we then have, so as to achieve more, yet more often than not. we do not take into account all the variables that came together for that particular winning outcome. Often this does not work on a repetitive basis as the variables that make up innovation can be different for each innovation event or activity but we can learn under a growing ‘range of’ differentiating capabilities. Is all investment about the future? 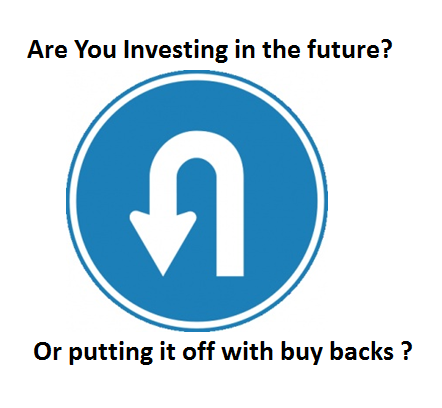 I was reading an article by Doug Collins on the “three wishes for the innovation practitioner for 2015” where he points out “2014 was the year for share buybacks and dividends“. He then remarks “And yet…..and yet” …. How are we going to engage more people within the innovation process? Getting people involved is getting people “doing”. We learn far more when we are doing and gaining experience yet organizations are always in seems to me consciously or unconsciously reducing the experimental part to any persons learning. We need to reverse this and simply encourage the exploring of new skills, gaining new experiences and probing established rules to value them but also to challenge and push them. Innovation is certainly not a friend to rules, established protocols and traditions. ‘It’ looks to attract the diverse opinions, the people willing to speak up and be heard as they often have observed and feel something can be changed and ‘itch’ for the chance to explore and learn from this. Innovation is a complex system where the coupling, uncoupling and re-coupling of technology, design, product, organization, art and science, to name just a few of the parts, that need to constantly engage for good worthwhile innovation to happen, is important for us to recognize. Organizations have real difficulties with this ‘fluid need’ to allow innovation to evolve as the natural tendencies are to apply, traditional, established ways to track, to attempt to ‘file away’ something that can be related too within the experiences. This is why encouraging enquiry, by pushing experiences you ‘form’ less and ‘allow’ more to evolve before you make the judgement. Innovation needs to be allowed to stay ‘fluid’ as long as possible before the final commercial ‘freeze’ moment when all the combinations emerge as new to the world. We also come back to the intrinsic nature of innovation; it needs different resources, skills and knowledge experiences to come into play. It is this very diversity of opinion, if allowed to engage and explore, gives us the chances of advancing innovation, of achieving a more radical solution. Perhaps we ‘promote’ incremental innovation far more than we realize because we don’t go out and engage in broader communities due to not having the time, the inclination or the understanding of its real value. Equally because we are simply not encouraged to do so, hence my argument we need a clear innovation knowledge exchange structure in place working through the absorptive capacity structure. Besides all the well-argued aspects of open innovation that certainly includes that famous statement that “all knowledge does not reside in one place” the more we interact, cooperate and network we share knowledge. Often the regret is the ‘brief’ is getting tighter and tighter to work from, so as to speed up discussions, the searches and ‘lock-in’ solutions the more we ignore weaker signals that are out there, hinting at even greater innovation opportunity. We chose to push past these due to this incentive, this often ‘hard’ metric that we work strictly on the ‘brief’ unless we simply trip over something so blindingly better. Although we are certainly evolving innovation the more we open-up we do need to build in some slack time to explore, often go with a hunch and follow our noses. We are in danger of losing this opportunity in our focused intents. Open innovation will not yield all it can promise if we don’t allow for more open knowledge exploration that might be out of the ‘norm’ but still within the parameters of what we are wanting to achieve – innovation that offers compelling competitive advantage – and we often can’t achieve that if we remain blind to those ‘weak signals’ that knowledge exchange that is encouraged to recognize, value and assimilate. We all speak of enhancing innovation capabilities but it can be both competence-enhancing and competence-destroying. We build on “preferred” routes to enhance our existing capabilities as this is traditionally viewed as the way to become ‘competitive’. Actually the very opposite can and does happen. Significant breakthroughs, changes in conditions, markets or technologies leave us increasingly unprepared. More and more disruption is occurring and with this it is bringing increasing obsolescence. We do need to acquire new skills, not ones layered on pre-conceived ideas and practices but on ones that promote new “fields of activity” we built into our thinking. We need more intensive innovation that explores at the emerging new edges of innovation management. A real valuable example of this is the work taking place within the Management Innovation eXchange (MIX) as an open innovation project aimed at reinventing management for the 21st century. The premise: “while “modern” management is one of humankind’s most important inventions, it is now a mature technology that must be reinvented for a new age”. This is a meeting place where The MIX is designed for all those who are frustrated by the limits of our legacy management practices. It’s for all the inspired thinkers and radical doers who believe we can — and must — find alternatives to the bureaucratic and dis-empowering management practices that still rule most organizations. “The MIX represents a pioneering attempt to use the open innovation model to help accelerate the evolution of a critical social technology — its management. Rather than struggling in isolation to reinvent the processes and practices of management, MIX members can leverage the expertise and insights of a global community of like-minded innovators. The success of the MIX hinges on the willingness of its members to share their ideas and experiences, which depends in turn on a belief that more can be gained by sharing than by hoarding. Truth is, there’s a lot more management innovation going on in the world at large than in any particular organization. Thus the MIX gives every progressive management innovator the chance to share a little and learn a lot”. We certainly need to educate across innovation more than ever. It needs not just greater recognition of its vital parts, it needs to be recognized as a value enhancing and organizational life-changing event we need to move towards increasingly. Innovation needs to be recognized as a clear discipline, a new expertise that is as powerful as Marketing became some decades ago. The more we embrace change, recognize innovation demands more of our time, the more we seek out knowledge that ‘feeds’ innovation and we ‘push’ for learning far more about its impact and its complex parts, the greater chance we have of thriving in a challenging world. The expectation ‘bar’ needs to be raised and those practicing within innovation, dealing in some of its parts do need to raise their game. Learning and Education always should start at home. The more we learn, have open interactions and form linkages the more we will be ready to advance innovation into what it must become, innovation management, recognized as a discipline and highly valued for what it contributes in wealth and growth potential. We need to find the determination to underpin the capacity for innovation, lying within us all, and that comes from knowledge and education through collaborative learning. So what is your capacity for innovation really like? Continuing in the series on knowledge and education for innovation. 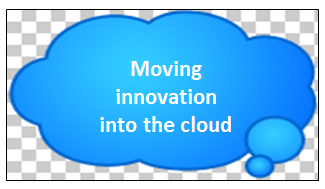 Part two – what needs to improve in innovation? I asked in the first part of this series of blogs –How do we advance the learning needed for innovation? So first, do we (all) agree that we do need to improve the education around the subject of innovation and its management? Do we need to recognize it as an essential discipline that should be fully recognized with our organizations? Today it is not central, it is not driving the business surprisingly when you stop and think about it, older more established practices drive the business and innovation is a responder. I think this needs reversing totally. We live in knowledge-based societies and we need to constantly increase our share of understanding as this new knowledge becomes the building block for innovation to take hold and grow our wealth, create the next generation of products or services. Our challenges are greater and more complex today. Modern society is becoming a fairly intense place, it is growing in complexity, reducing constantly our need to reduce our reaction times so we need to ‘read and react’ far quicker than in the past. We are being highly challenged in adapting our existing practices and processes within innovation to speed up. In reality top of mind for CEO’s is the innovation gap, they want to quickly see and fill and secondly, their worry over the innovation delay. We need to find new mechanisms on innovation to allow for a better transfer. 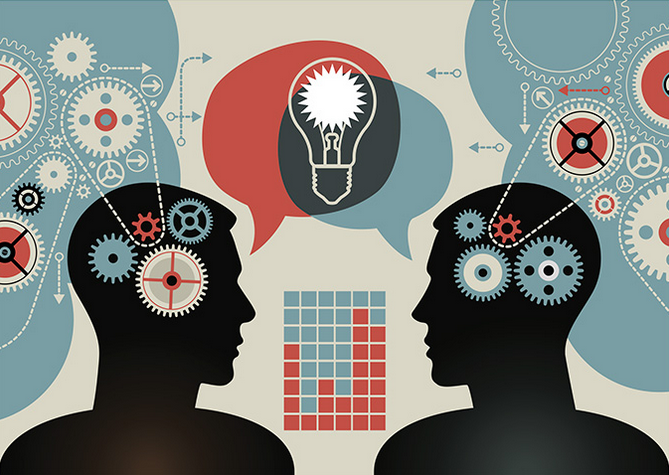 The appreciation of knowledge – its collection, its understanding and interpretation and in its transformation and exploitation are not being valued as highly as they should within this need to speed up, to close gaps and reduce delay but more importantly, to contribute to higher value outputs that “fuels” new innovation activity. The production and reproduction of knowledge becomes key – it drives activity and direction for innovation activity. As we create, accumulate and disperse knowledge we become more engaged outside our own walls. We need to seek constantly a comparative advantage and to achieve this goal we are seeking more and more open exchanges to allow this flow of knowledge to be captured. We are becoming increasingly interdependent and permeable to disturb what “we think we know” to “what we need to know”. Relationships, networks, dedicated resources searching; collecting and assessing knowledge all rapidly contribute to our growing need for new capacities. We then need to build the appropriate capabilities to translate and exploit this new knowledge. Our “need to innovate” is becoming our sole means to survive and prosper in this highly competitive world we continue to create and knowledge becomes the key to this. Knowledge cannot be allowed to be left to chance today but needs a coherent, structured way to be captured, used and valued. “Our knowledge” is our potentially most highly prized tradable asset. The skills we build from this understanding allow us to build, explore and experiment so we can translate this into new innovations. Content and Context are the essential partners. As we look at innovation today, often one of four aspects are missing or under-served for what an organization is trying to achieve. The ‘context’ that innovation is set is usually the most poorly described part. The ‘content’ can fill rapidly but this tends to be full of endeavour and activity as the results have not been as clearly articulated as they should have been. The ‘purpose’ and the ‘process’ make up the other parts. Knowing the purpose comes from setting the context – this clarifies the inputs that form purpose. Lastly we have the process where the activities should flow through. Each of these four dimensions is often not as solid or robust as they should be, and increasingly, new knowledge is not getting translated to leverage its potential due to these weaknesses within our management of innovation. As we rely increasingly on our growing ‘interactions and linkages’ we need a system to manage this. Absorptive capacity was introduced as an idea and first explored by Wesley Cohen and Daniel Levinthal in a 1990 article (“Absorptive capacity: a new perspective on learning and innovation”) and can provide us the knowledge learning path for building a real “knowledge exchange” process. Learning by using – as we utilize and adopt more, through exploration and adoption of new products, new technologies and methods, we are opening up to experiment and possibilities to extend this new ‘experience or knowledge’ even further. Learning by interacting – we increasingly go ‘across’ organizations and equally move ‘up and down’ them to seek out interactions with other sources of knowledge and growing expertise. These are further augmented by external collaborative exchanges and cooperation activities allowing for deepening knowledge, greater experimentation and interactions to deliver potentially ‘richer’ innovation. Each of these six points of learning need exploiting for innovation. Finally in this part, I’ve discussed absorptive capacity in previous articles “making innovation practice spread”, learning to absorb new knowledge for innovation and moving towards a more distributed innovation model to provide a fairly comprehensive set of discussions on this critical aspect of innovation and knowledge provision. We are equally in need to recognize differences and value in tacit and explicit knowledge. Internalisation (the conversion of explicit to tacit knowledge). To explain this we need to distinguish between tacit and explicit I outlined some thoughts in a previous article “tacit knowledge rich in its innovation implications” and further explored this in “making the appropriate impact”. The critical message here is that tacit knowledge vs. explicit knowledge is where the interaction between these two is vital for the creation of new knowledge that leads to future innovation potential. Knowledge for innovation needs to build in both formal and informal ways. My last part within this knowledge exchange series I want to finish with the ‘coupling’ within the innovation system, our need for greater convergence and the dangers lurking in innovation. Each has its place within knowledge and education for innovation.